A truly lush radiant enthusiast`s guide The Backyard Beekeeper`s Honey Handbook introduces readers to the literal cornucopia of honey varieties available. 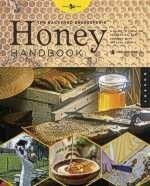 An intuitive follow-up to The Backyard Beekeeper this book will presume beekeeping experience but reintroduce the basics. It is an insight into the practical back-to-the-earth beekeeping lifestyle as well as the artisan cultivation of honey varieties. Supplementary support for this book lay in the fact that interest in tapping honey`s holistic and whole-health potential dovetails nicely into the natural health and green movements. Also honey as natural lower-calorie sweetener has garnered positive PR by those working against the obesity epidemic.